Do you want to be a psychologist, counselor or researcher? GC’s rigorous psychology program has an excellent track record of admission into psychology graduate programs. In fact, we rank in the upper 26 percent of all colleges and universities for the number of graduates who earn psychology doctoral degrees. And, if you consider all the psychology alums who have applied to any graduate program — in psychology, social work, business or law — 100 percent have been accepted into graduate school! GC’s rigorous psychology program has an excellent track record of admission into psychology graduate programs. How do we do it? Our program features small classes, enthusiastic faculty and a strong emphasis on scientific research methodology. At GC, you will take a broad range of courses in cognitive, social, developmental and clinical psychology, among other social sciences courses. You’ll also find ample research opportunities and internships for hands-on learning. You could assist developmentally disabled adults at Elkhart County Clubhouse or counsel students at a local elementary school. In addition, you’ll participate in regular psychology gatherings, where you’ll meet guest speakers, share research and build strong ties with the Goshen community. Read the 2016 Psyclone below, download a copy, or view prior issues. 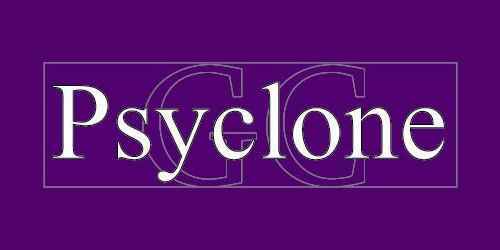 The Psyclone is the longest running departmental newsletter at Goshen College. It is published annually by the Psychology Department. Prashansa graduated in 2016 with a degree in psychology. Originally from Allahbad, India, she was given a full scholarship to Maastricht University in the Netherlands to pursue a master's degree in forensic psychology. Maddy Garber '18 is a psychology and music double major from Lancaster, Pennsylvania who participates in choir, intramurals and swing club when she’s not in class. Olivia Ginn '16 wants to change the perception of mental illness. Maddie Ruth graduated in 2014 with a psychology major and music minor. 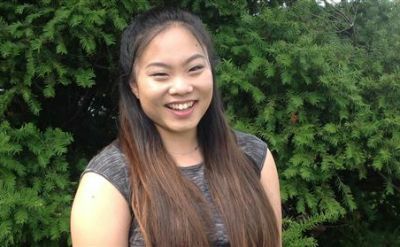 She was a member of the tennis team, wrote for the campus newspaper, The Record, played violin in the GC symphony orchestra and sang in chamber ensembles.